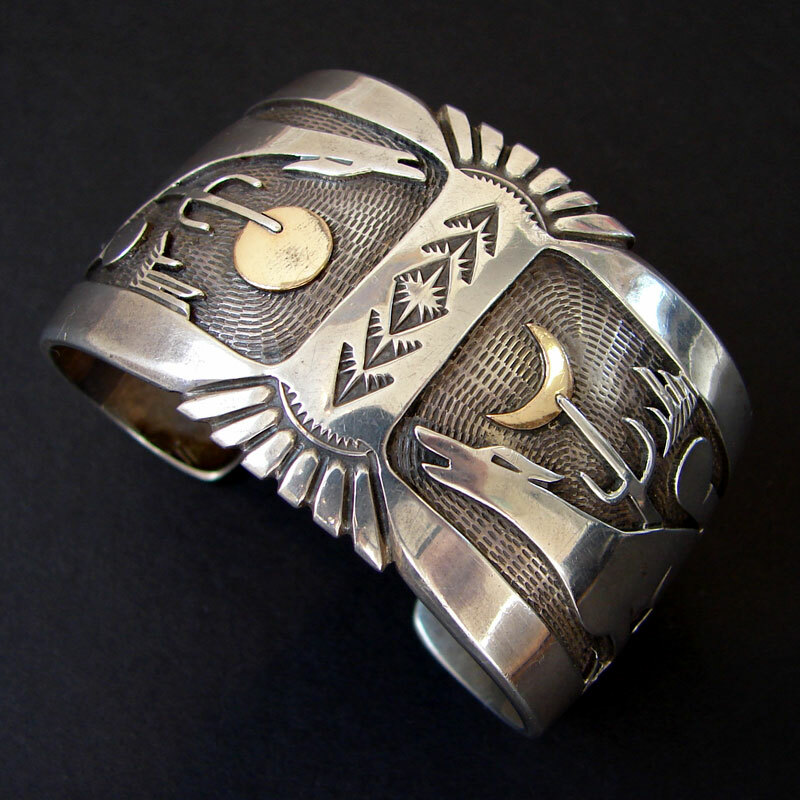 This magnificent cuff bracelet bears the design of a howling coyote on each side, one with a sun, the other a moon. 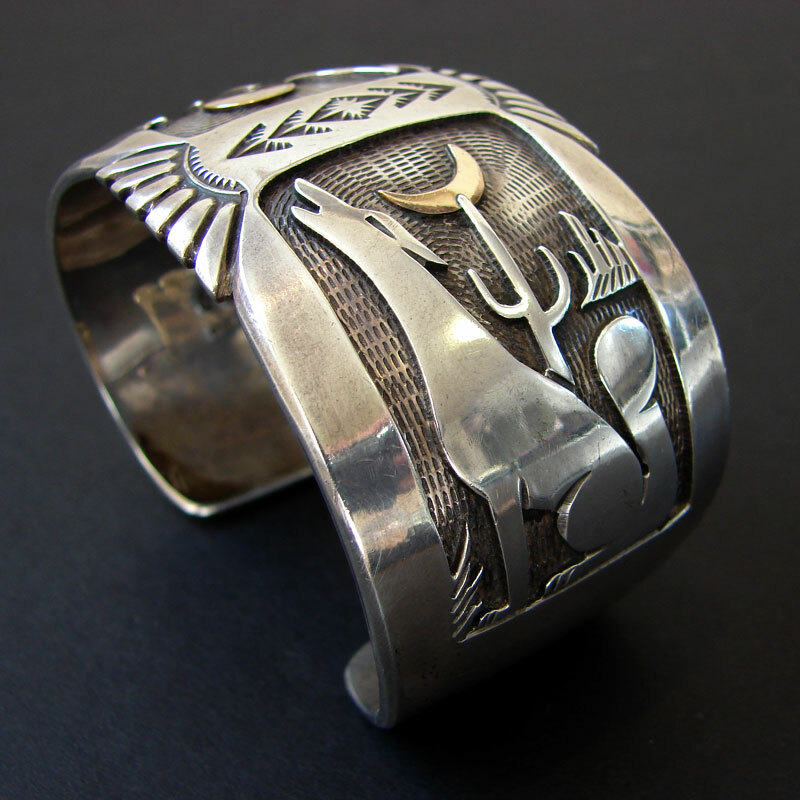 The sun and moon are gilded with gold. 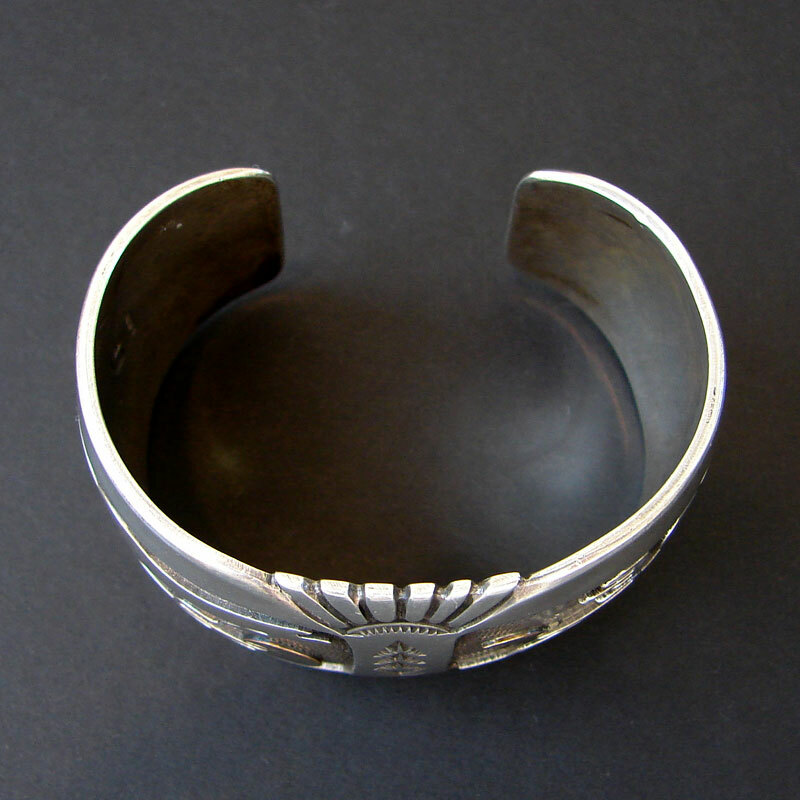 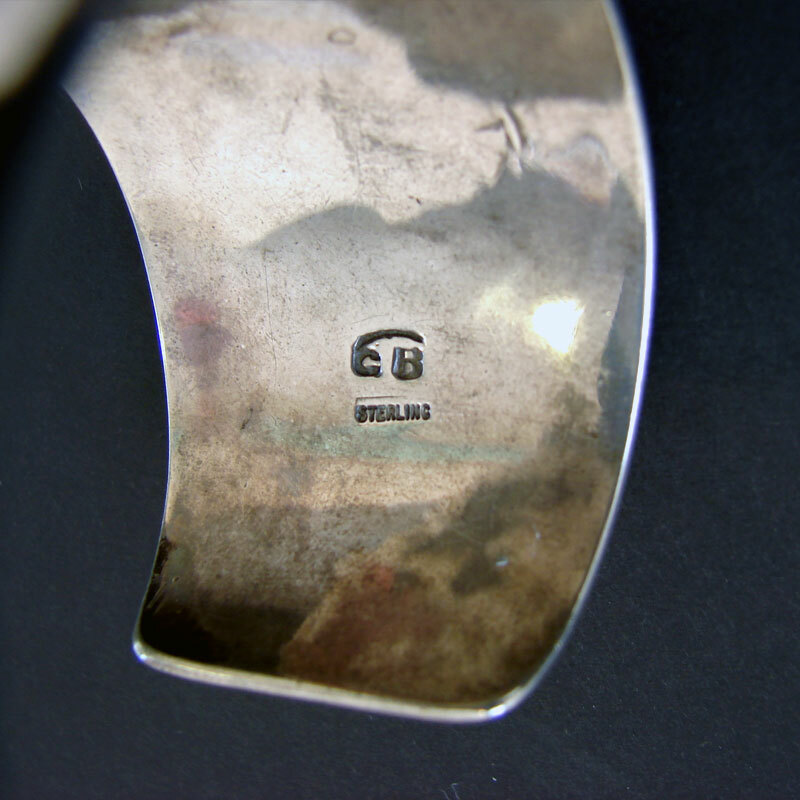 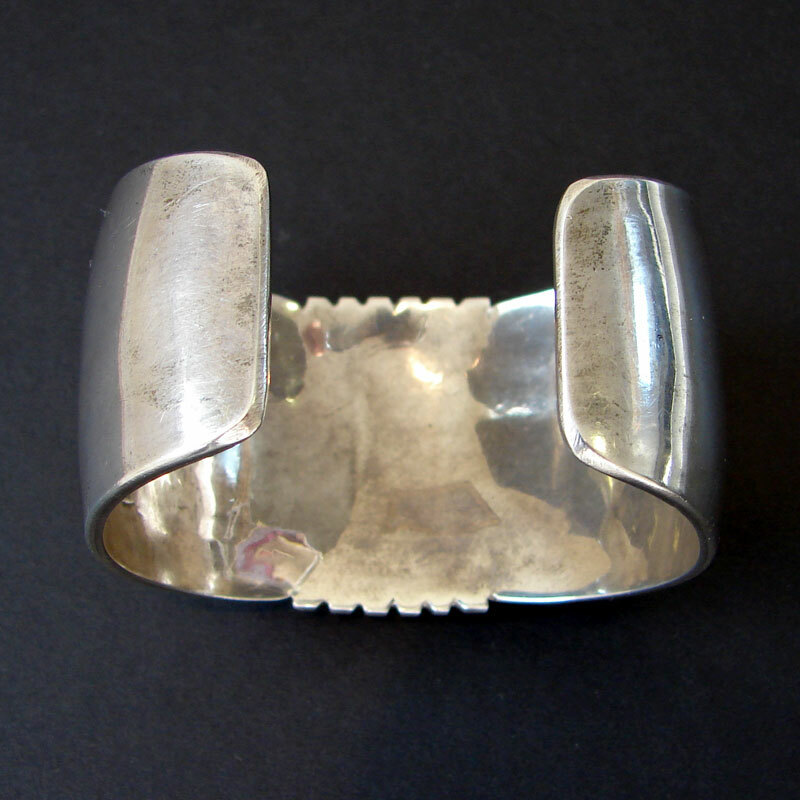 The stamped design in the center of the cuff results in an interesting focal point.